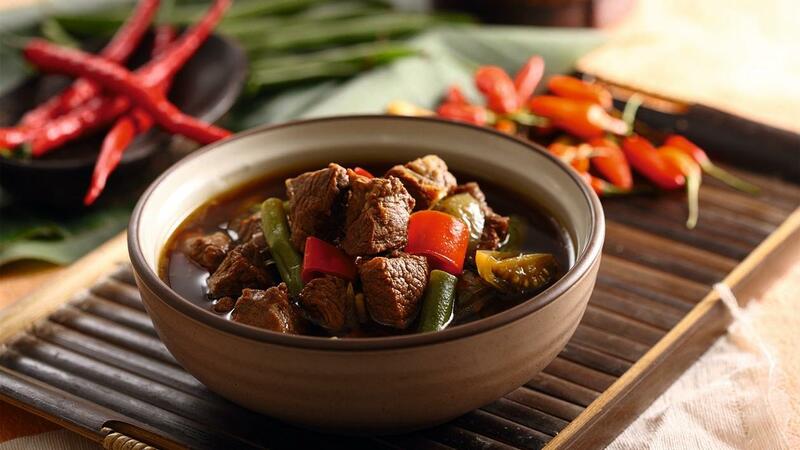 Tender beef mixed with unique gravy that is very typical for your special guests. 15 minutes Boil the beef in the water until ¾ cooked. Sauté garlic, shallot, big red chilies, big green chilies, bay leaves, galangal, and tomatoes using cooking oil until they are smell very well. Put into beef water and boiled them together. Add some Bango Kecap Manis, salt, and sugar. Stir them well. Add tamarind water and green bean. Cook them well.